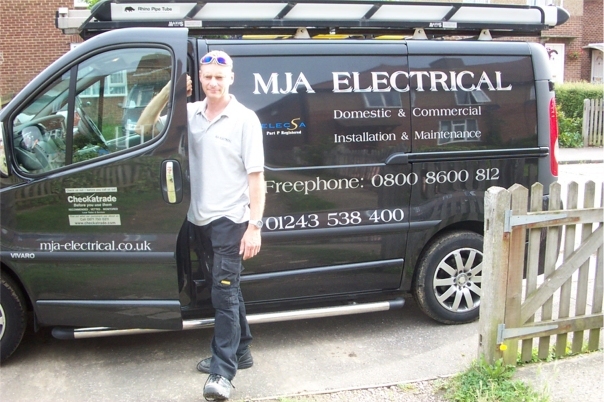 MJA Electrical was established in 2003 in Southbourne, Nr Emsworth, Hampshire, and has built up an enviable reputation for our quality of workmanship and customer service. We offer electrical design, installation & maintenance services to domestic, commercial and industrial customers, estate agents, letting agents, private landlords, builders & property developers. We pride ourselves on the quality of our work, and our company's aims are to maintain high standards of workmanship and customer care at all times. All of our engineers are professionally trained and qualified and have extensive experience and expertise in domestic, commercial and industrial environments. With over 20 years of electrical experience, we have many satisfied customers, who have been happy to spread news of our business by “word of mouth”, which in turn has gained us many new and returning clients, and we are very grateful for their continued business. We are registered with Elecsa which allows us to self certify domestic electrical works required under part P of the building regulations. To find out more about Part P and its implications on householders click here. If you already have a good idea of your requirements, need advice on a new project, or are a returning client, please feel free to contact us.